Today I am grateful for the movers who are packing up my house. I am grateful to have lived in this house for six years. I am very grateful not to have to pack myself. Plus these movers are fantastic. 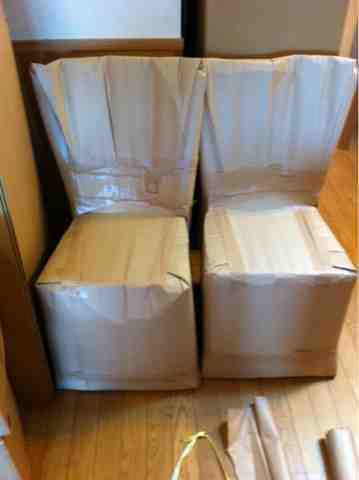 Our dining room chairs look so good wrapped up I may leave them that way. I'm grateful for an ipad to type this on while all around me are boxes and organized chaos. I'm grateful for good friends who willingly took in my sick teenager when she woke up this morning with a fever. And I'm grateful in advance for the house we will move in to. And the new friends we haven't met yet in our new location. I hope they like sick kids.